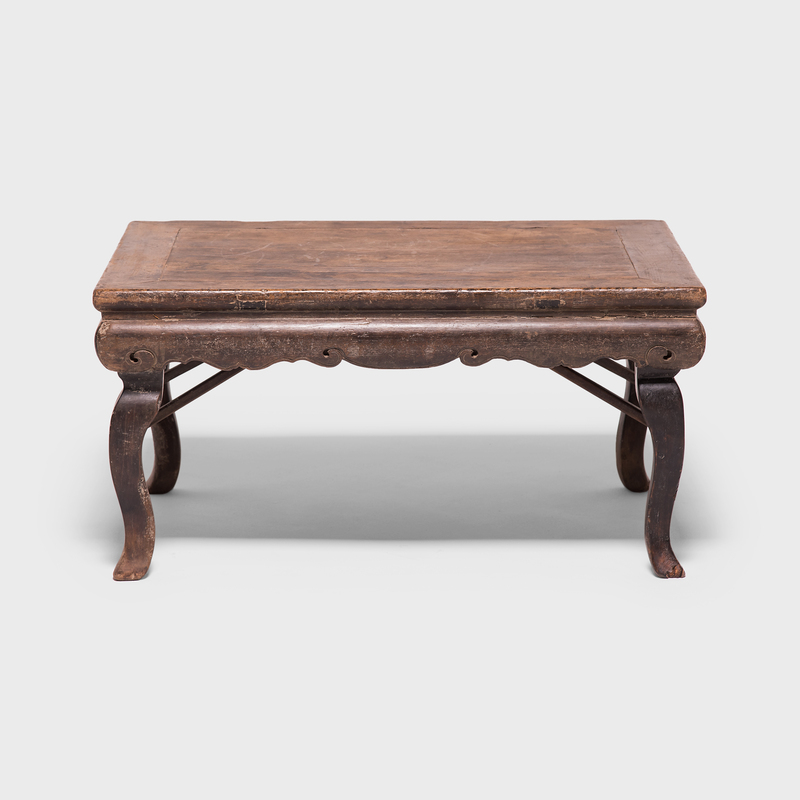 W: 80.75" D: 11.5" H: 35.25"
A Chinese artisan from Shanxi province carved this walnut table over 150 years ago. 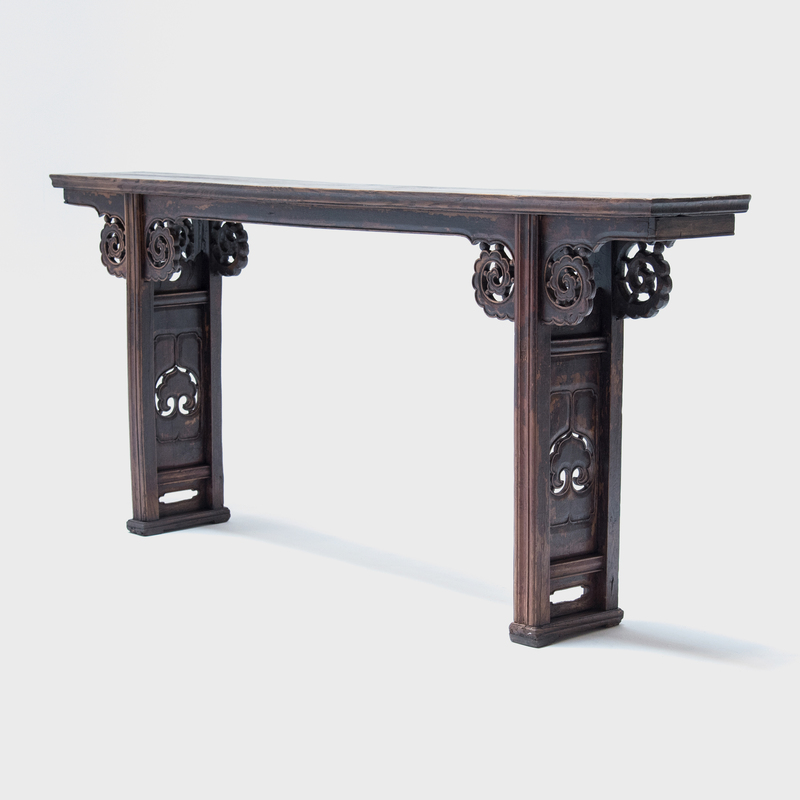 The narrow form would have been ideal for displaying painted scrolls or works of calligraphy. 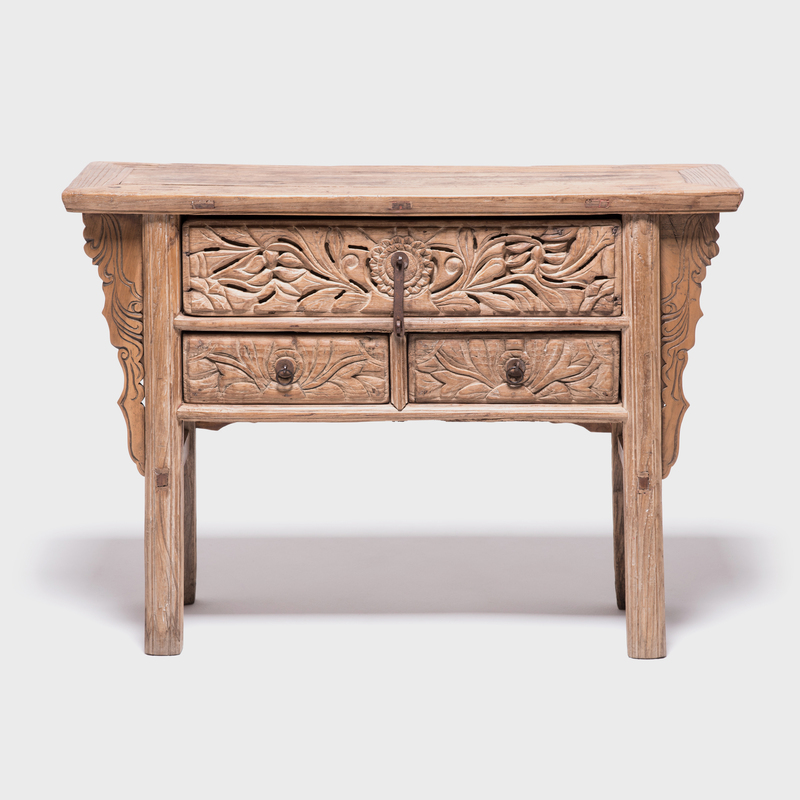 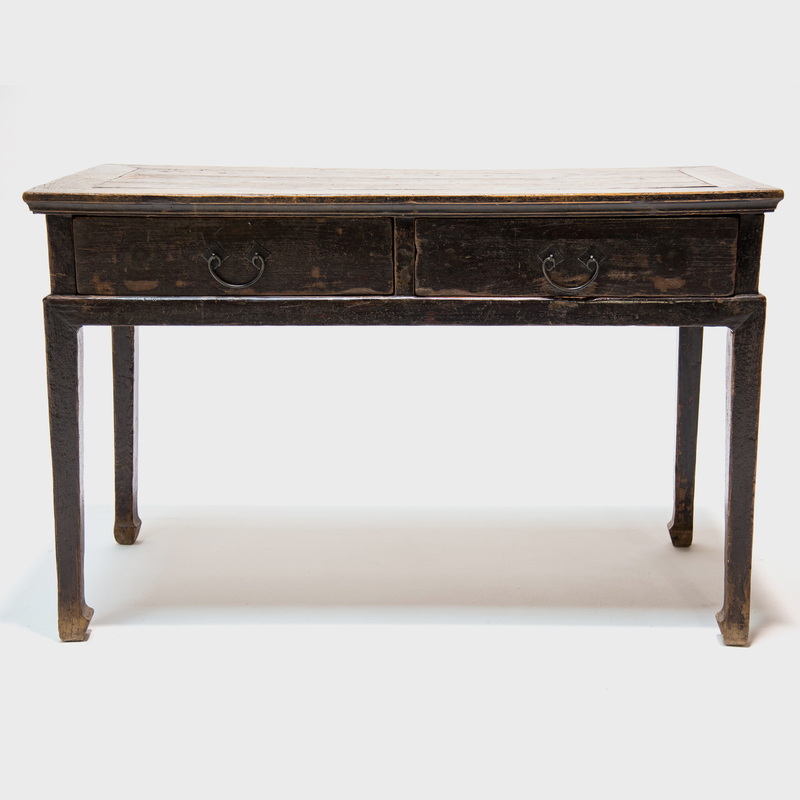 This table is exquisitely crafted with inset legs that have floating panels pierced with ruyi designs (symbols of good fortune) and spandrels that are carved in the traditional cloud motif. 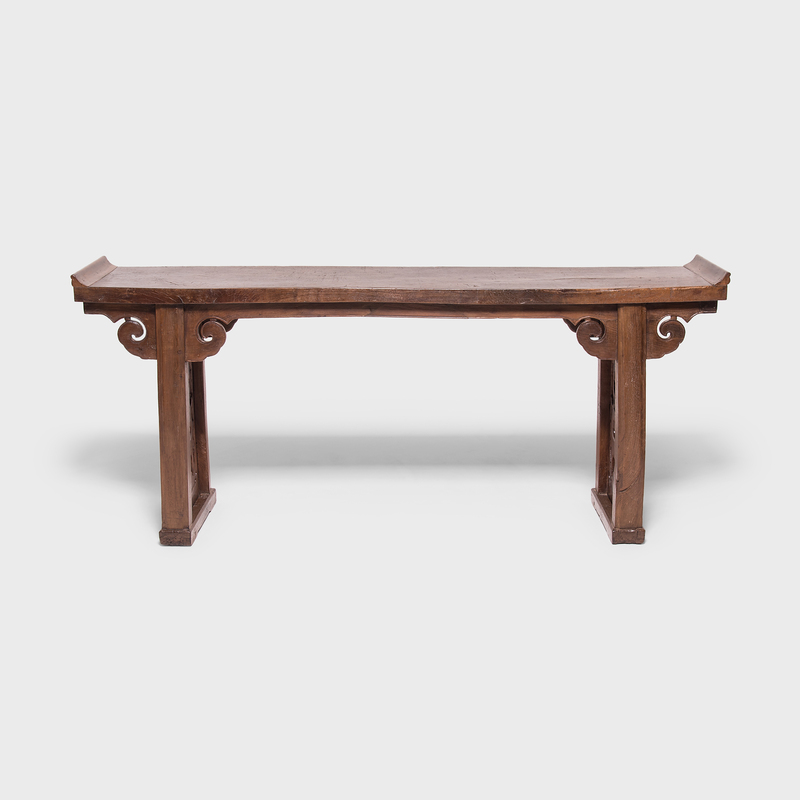 Table apron to floor: 32"